Innovation, entrepreneurial thinking, STEAM and design thinking are alive and well at Country School. The Amicus Foundation MakerSpace Design Lab is located in the Upper School’s Stevens Building. The space, which serves students in grades 5–9, is designed to promote openness, shared experiences, collaboration and rapid development from ideas to physical creations. Our students design, experiment, build and invent as they engage deeply in science, mathematics, engineering and self-expression. Students have a wealth of resources at hand in the space including several 3D printers, microcontrollers, fabrication technology, video production, as well as an assortment of recycled materials to spark their imaginations. Using their laptops or iPads, students run a variety of programs and Apps, which allow for 3D design and object-based computer programming. This year, the program was expanded to the Lower School beginning with Grade 1. First graders receive dedicated instructional time in the MakerSpace Design Lab, giving them the same opportunity as older students. 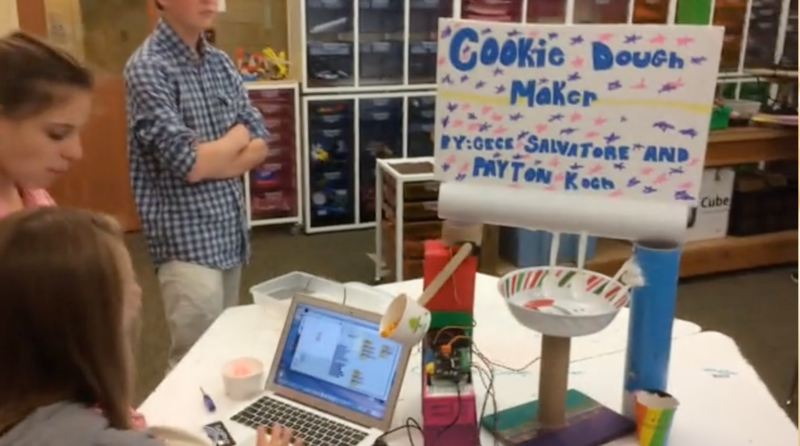 Plans are underway to create MakerSpace Design opportunities throughout Lower School, as well. There are birds in the science wing of the Middle School. To be more specific, there are 3D models and drawings of finches, hawks, bluebirds and flickers. They do come to life, however, as passersby hold an iPad in front of each one. A student-made video launches describing the bird through visuals and voice narration, thereby creating an Augmented Reality experience. Country School students participated in its first Hour of Maker. For the past two years, there was a similar event, Hour of Code, which focused on computer programming. However, this year the school decided to do a hands-on Maker project. Working with their buddies, every student built their own Car-Bot. View a video and photos of our students participating in this activity. Innovative, hands-on, challenging, and engaging. These are just a few of the words that can be used to describe the Grade 1 Maker Program. 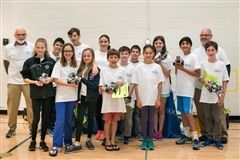 New Canaan Country School’s Middle School Robotics Team participated in the eighth annual ROBOnanza!, a competition for Westchester and Fairfield County independent schools held in Greenwich, May 13. The “Cougar Bots,” (robots built completely out of LEGOs® and programmed by the fifth and sixth graders), contended against robots from other schools in three levels of challenges. 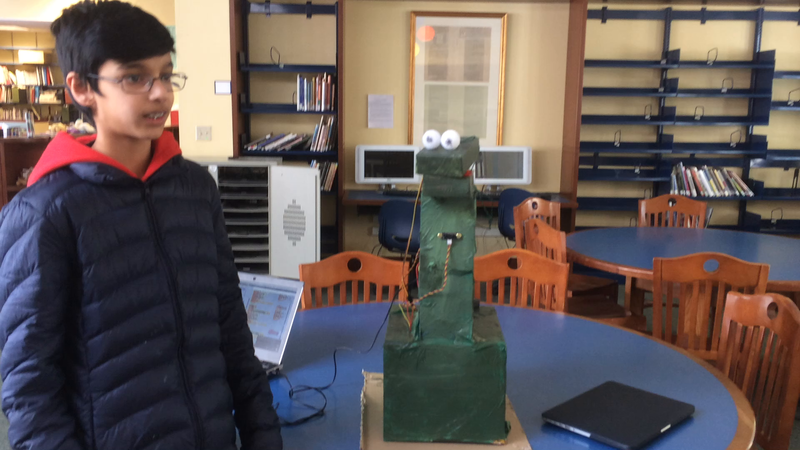 Sixth through eighth grade students at New Canaan Country School have created interactive Augmented Reality projects which are now on exhibit in the Middle and Upper School buildings. 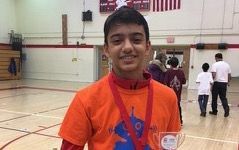 New Canaan Country School eighth grader Arjun Dayal won top honors at two Westchester First Lego League (FLL) Competitions. As part of the competition, he also created a coyote sighting app that will benefit his local community. Fifty educators from around the state gathered at New Canaan Country School for a technology innovation workshop, “Technology Innovation in the Lower School Classroom,” on Jan. 19. Country School teachers presented creative ways that they are using technology in the Kindergarten-Grade 5 classroom at the workshop sponsored by Connecticut Association of Independent Schools (CAIS). All 630 New Canaan Country School students participated in the Hour of Code on Dec. 6. Working in buddy pairs, older students taught younger ones the basics of coding. View photos & video. 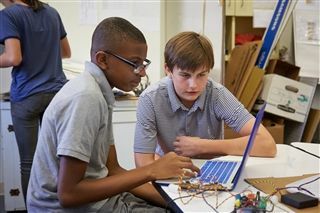 Seventh graders at New Canaan Country School are building mini-machines with a personal twist in a newly developed Maker Class. Based on their interests and imaginations, they have created inventions such as jumping dolphins, dancing disco scenes and automated catapults.